The Toronto DJ - Official Blog of Kooltempo Toronto DJ Service (Wedding DJ, Prom DJ & Party DJ): Choosing a Disc Jockey (DJ) for your special day! Choosing a Disc Jockey (DJ) for your special day! Music is the heart beat of any event. Be it a House Party, a School Dance, a Company Event or a Wedding, selecting the right DJ or Band would have a lot to do with how successful your event would be. 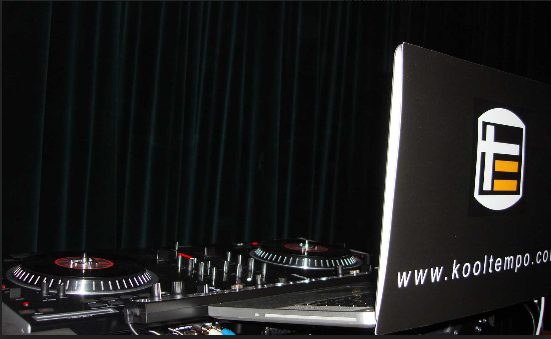 There are essentially thousands of DJ service provides in the Toronto area from rookies to professional / well managed companies such as Kooltempo Toronto DJ Service. It is important that you carefully consider and evaluate the DJ service before selecting them to make your big day success that will be talked about event! Here are some important considerations that you should look in to before selecting a DJ Service. Is the DJ service a registered full time business? Selecting a registered company would definitely be a safer choice. Federally registered companies such as Kooltempo Toronto DJs has their business details listed with industry Canada and have complied with all rules or registering and maintain a full time business. However, having stated the above, it should be noted that there are many good solo person DJ services. Is the DJ service licensed? This is a very important consideration. All professional DJ's in Canada should be licensed by the Audio-Video Licensing Agency (AVLA) to publicly play music. Selecting a licensed DJ for your event will ensure that he / she will play legally acquired high quality music. In addition to the above, having a licensed DJ for your special day will also avoid any complications you may have if an AVLA auditor visits to event. Is the DJ part of a professional association? Most professional DJ’s are members of a DJ association such as Canadian Professional Disc Jockey Association (CPDJA), Canadian Disc Jockey Association (CDJA) etc., DJ’s who are affiliated with one or more professional association can have access to exclusive information about industry trends, insight in to new music gear / software and participate in forum discussions. This in turn would enable the DJ service to have more information towards providing higher level of service to their clients. Are they operating as a full time business? You may not be surprised to hear that most DJ services are not full time businesses and some may even be start-up’s. A full time business will have greater commitment and a long term view of the business and have a substantial investment towards equipment and music. Do they play legally acquired music? Apart of copyright law, most illegal music are low quality and is not geared towards professional entertained. Make sure you check how the DJ acquires their music and the bit rate of the music files are. Professional DJ’s acquire their music from DJ pools where the music files are 320kbps. Determining the quality of a sound track is as easy as checking its properties. As indicated above checking if the DJ has a license from AVLA may be the first step. Is there a contract signed before you confirm the service? Signing a contract is extremely important to ensure that you get what is promised by the DJ service. Take time to review the contract terms and ensure all your requirements are covered and detailed in the document before booking the DJ. Do they provide simple easy to understand pricing with no strings attached? Look at what service are included in the price quoted by the DJ service. Most DJ companies do charge extra for lighting which is not included as part of their basic package. You need to ask some simple questions such as, How much does the lighting cost?, Do they offer free set-up and take down?, Is there extra for transport?, Is there a pre-event consultation as part of the package? Etc., Opting for a DJ service such as Kooltempo Toronto DJs that provides a simple easy to understand package that includes Music, Sounds, Lighting and all additional services would ensure that you don’t have any last minute surprises. Does the DJ service offer to meet you for a pre-event consultation to customize music and effect for your requirement? Planning the music and the activity sequence for your special day is one of the most important things that will help make it a success. Ask to meet the DJ close to the event date to have a rundown of the playlist, activity sequence etc., If you are having an MC for the event then make sure that he or she is also part of this pre-event meeting. Do they take requests from you / your guests? You might be surprised to hear that some DJ’s do not accept requests. Check with the DJ service if they would accept requests from your guests. Do they provide a guarantee on the service they provide? Your special day is too important and you should insist the service provider to provide you a guarantee. Currently Kooltempo Toronto DJ service is the only company that guarantees your satisfaction with a 100% money back offer. Is the DJ assigned for your function sufficiently experienced? You don’t want a rookie playing music at your event right? If the answer is yes, then check how much experience the DJ assigned for your event has. Ask for the DJ Company to personally meet with the DJ before signing up with them. Does the DJs use professional DJ equipment? Check what equipment will be used for your event. Ask the DJ to email you a list of equipment that will be used so that you can ‘Google’ to see if they are indeed professional DJ gear. You will be surprised to hear that all DJ service do not use professional grade DJ equipment which obviously will have an impact for you. Do they have sufficient back-up systems? An unavoidable equipment failure shouldn’t spoil your special day, right? Then check with the DJ service if they have back up equipment and make sure it is detailed in the contract. What about insurance for equipment / liability? Like many businesses a DJ service should also have insurance for their equipment and 3rd party liability. Certain venues may also request the insurance certificate from the DJ service before they perform at the venue. Having insurance is not compulsory and all DJ services may not have insurance coverage. Therefore, check with the service and make sure that is a condition in the service contract. Don’t be afraid to ask tough question from the DJ service to ensure that they are the right service for your event. Make sure make a list of your requirements and personally meet the DJ before making your selection.